Choosing the correct signage can be extremely daunting and then figuring out where to put them, is it at the right height? At Fire Safety Managers we will take that stress away from you by conducting a site survey providing you with a detailed report to ensure you are fully compliant with all relevant fire safety regulations. Fire Safety Signs are installed to ensure that the occupants or visitors to the building are aware of the possible dangers, escape routes, location of fire equipment, fire action instructions and other important warnings and mandatory information. The last thing anyone wants is for the wrong information to be passed to a person panicking to escape a fire. All of our safety signs meet the design criteria of the British Standard for Escape Route Signage – BS5499-4:2000. Click through our tabs below to see the different types of safety signage needed within your premises. The obligations under the Fire Precaution and Health and Safety at Work Regulations recommend that all fire fighting appliances are clearly marked and are easily accessible at all times. These signs will assist you in meeting these recommendations. They will also assist in the training of employees, by identifying the contents of the extinguisher and the type of fires that it is both safe and unsafe to use on. Similar to the fire extinguisher id signs, these id signs are to make you aware of the location of other emergency equipment such as Fire Hoses, Fire / Emergency Telephones, Fire Alarm Call Points, Fire Points and many more. Having these sited at the locations of the equipment will ensure a swift response to an emergency which can ultimately be the difference between minor and major injuries. The fire exit is an additional route that occupants and visitors would use to leave a building during a fire or other emergency situation. 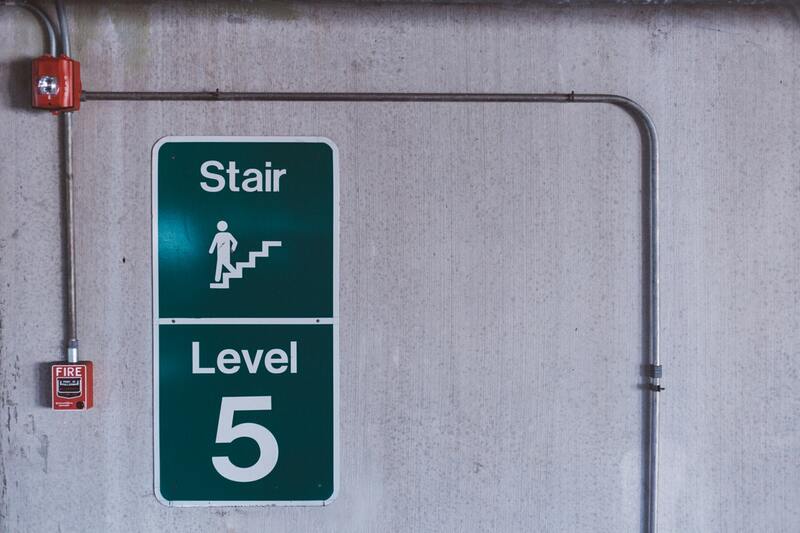 There are obligations under Fire Precaution and Health and Safety at Work Regulations and it is recommended that from any point within a building, occupants need to easily identify their nearest and safest escape route. The Fire Exit Signs are perfect to meet the relevant regulations and with the photoluminescent background of these signs they can even be identified in the dark should power failure occur. The signs need to be correctly sited and positioned so they are able to make a major contribution to the effectiveness of good fire safety management. These signs are usually sited near to the fire alarm panel and fire exits to ensure that occupants and visitors are aware of the action to take within a fire emergency. They state the location of fire fighting equipment and where the nearest fire assembly point is so there is no delay in exiting the building and reporting to muster. The signs will also give a few points to consider, such as, not to stop for belongs and not to use the lift.